The Autism Society Philippines remains to be the largest grassroots autism advocacy group in the country. ASP's membership grew by 32 percent from December 2015 to August 2016. Our roster of 84 chapters represents an 11 percent growth in the same period. "We attribute our growth as an organization to three factors." Mona Magno-Veluz, ASP National President, explains, "First, there is an increased awareness and desire among parents to advocate for their children with autism. Second, more parents are organizing chapters all over the country; thanks to stronger support from teachers, professionals, government, businesses, and even international organizations. Third, the increased level of activities and projects run by ASP communities have attracted an increased number of self advocates who are joining our society, independent of their parents." 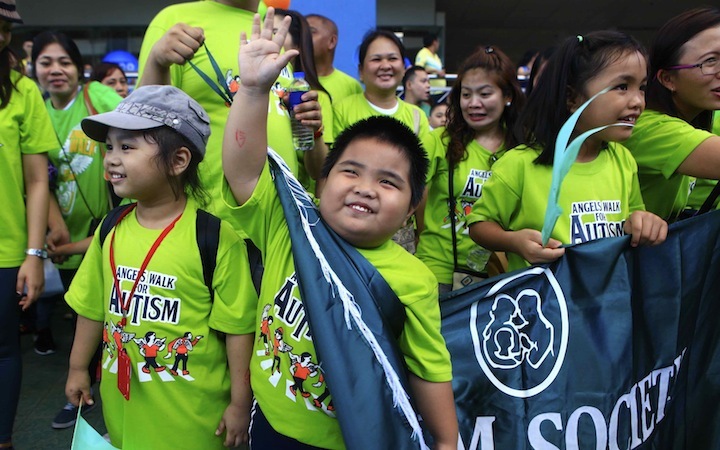 This year, the Autism Society Philippines welcomed 16,000 participants at the Angels Walk for Autism at the MOA Arena. It also launched several programs which directly benefit families and PWAs -- among them, the ASP HOMEpowerment (creation of home therapy programs for CWAs to be implemented by parents), the ASP PWAY-day (enrichment and socialization for adults with autism), and the ASP Career Placement Initiative (matching job-ready PWAs with compassionate employers, trained for ASD accommodation). Here's to an increasingly A-OK Philippines!